And as I left her house that day, this 39 year old mother of 7, with worn hands from many years of caring for her family, gave me a gift I can never exercise enough. Have you met “thankful” yet? It passes itself around like a big meal offered family style. It soothes the broken heart. Softens the sharp edges of pessimism. All of a sudden I started telling those around me how thankful I was for my husband, my children, and the blessings from the trials. It took me a few days to even realize I was doing it—and I was spreading it to those around me. I was sharing the hard parts of my life, when folks would ask, but I was also making sure I ended with the good that emerged from the bad. —all because one fellow sojourner who understands grace and how all good things come from our Father in Heaven, spoke appreciation and a full heart. Out loud. Have you met #thankful yet? It passes around like a big meal family-style, soothes the #brokenheart, softens sharp edges of #pessimism. My burdens didn’t disappear, but the curse that I felt was on them melted into the cracks where I had pet and cuddled it. A grateful heart does that. It evicts negative thinking because where we thank the Father of lights there isn’t room for pity parties and piercing fears. 1 Thessalonians 5:18 #Givethanks in all circumstances; for this is the #willofGod in #ChristJesus for you. That sounds like a tall order. Some pain cuts so deep and some situations so seemingly impossible, thankful is furthest from our minds. What if we laid it all bare before God, letting ourselves be real, raw, honest, talking to Him about our pain, disappointments, and frustrations like David did in the Psalms—but then ended it with a plea for more thankful? I guarantee that if you ask for His help, you will start finding treasures in the dark. It may start small. Initially, you may repeatedly trip over the cinder blocks you feel hold you down in your sorrow or struggle. It won’t be easy at first. But thankful catches the slightest whisper and rides the wind with stronger and more powerful gusts. Before you know it, it lifts your spirit and rushes in to lift other heads around you. It’s not a new idea, but it is one we need refreshed and renewed in our minds and hearts daily. Thankful isn’t our flesh. It’s our transformed heart led by the Holy Spirit. I do not know the deeper expanses of this Amish mother’s heart. With a long marriage and many parenting years, the loss of her mother, and the demands on her time, I am very sure there were unspoken woes of various depths over the years. I sat at her table one evening, for just a few hours, with a heart trapped between the generations on either side of me: my father’s ongoing cancer war and a child with special needs. 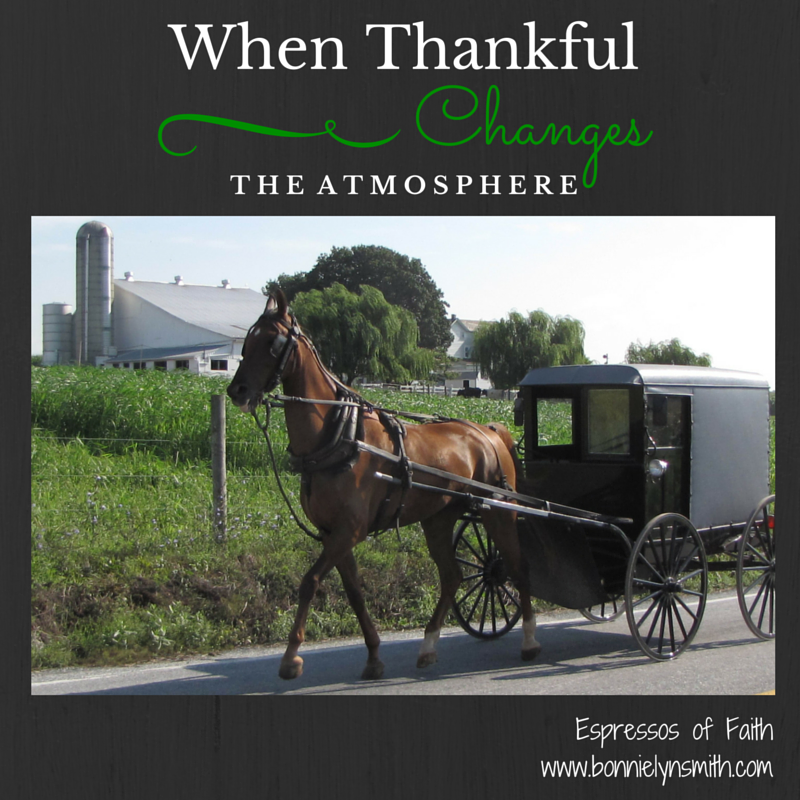 I brought my heaviness in and ushered it out with thankful. I don’t like the color gone from my father’s face, but I am grateful there is a chemical that launches missiles at cancer and that he is currently strong enough to host it. On any given day, I could completely thrash at the roadblocks in my son’s ability to learn, but I am gifted with experts both inside and outside the school to target each specialized area of concern. I serve a mighty God. He can handle my pain, but He also wants to strip the deadened wood around my heart and replace it with the vibrant life of defeated death on a cross for me. He knows what I carry around and wants me to live in spite of it. To change the atmosphere with my thankful. To be alive, trusting in His love and goodness. Whatever you face today, can you take a small step toward thankful? Perhaps today it was merely getting back and forth in your vehicle safely. Tomorrow it might be a little bigger…that prayer on your heart is seeing breakthrough. 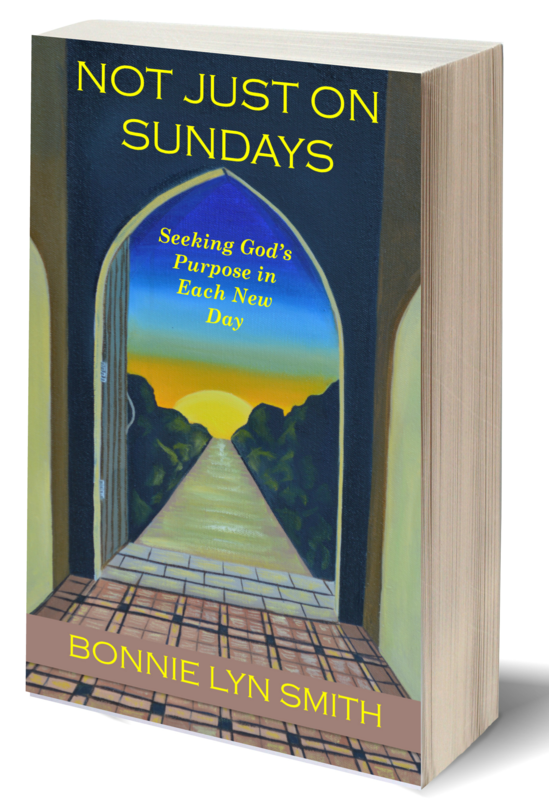 How can you change the world around you, one trusting glance toward heaven at a time? A #grateful heart evicts #negativethinking because where we thank the #Fatheroflights there isn’t room for pity parties and piercing #fears. I am from Lancaster County so when I saw the Lancaster County Amish buggy, I perked up. Hi, Denise….I’m so glad to hear from you! I absolutely adore that part of Pennsylvania. I am so pleased my parents have moved there. It’s a wonderful place to visit. I was excited when I saw the Amish buggy because I am such a big fan of Amish fiction. I plan on visiting the Amish part of country one day. It seems they have a way of ridding themselves of the excess stuff and get to the heart of what really matters. Finding our way to thankfulness while going through a trial is difficult but I believe followers of Christ, in time, find our way to that peaceful place. Hi, Mary….I remember that, now that you mention it. You are so right. It’s such a peaceful place to visit. I think you would enjoy so much of that area. I remember praying for you. I hope you are finding that peaceful place again. I am always so glad whenever I find it again. This life can be so rough sometimes. So thankful for people who remind us of our blessings. Your responses always remind me. Blessings! Such an important connection, Brianna! So true! Thanks for coming by! what a beautiful story, so well-written with a simple message from a busy Amish mom! Thank you for helping cut through the overwhelm of my day to what’s most important! Thanks so much, holyvacationqueen! I’m always so encouraged by you! You’re a blessing! This is so beautiful, Bonnie. When we really stop to think about what being thankful truly means, God elevates those things we are thankful for and before we know it, our minds are transformed to go there automatically.